I remember how Lovella thought she might lose a “whack of readers” when she posted a recipe that called for farmer sausage. Where it's readily available, this smoked pork sausage seems to find its way into all kinds of recipes. If you prefer, you can substitute it with smoked ham. This is really just a version of scalloped potatoes and adding the meat makes it an easy family meal. I got the recipe from a friend, Karen, a number of years ago, but have changed up the sauce amounts a bit over the years. If you use a few more potatoes, just double the first 5 ingredients of the sauce. Arrange potatoes and farmer sausage in layers in greased 8 cup casserole dish. If you use the slightly larger version of the recipe ( 8 potatoes, 3/4 - 1 link sausage, double milk and cheese) a 9x13 Pyrex pan is good. Melt butter; blend in flour, salt and milk gradually, stirring constantly. Add cheese and soup, stirring until sauce cooks. Pour over potatoes and sausage. I like to layer it with the sauce. Bake at 375° F for 1 1/4 – 1 1/2 hours. Serves 6 (8 with larger version) You can leave uncovered until it starts to brown (45 minutes) and then cover with foil, or the other way around. Anneliese. . .another really tasty looking meal. . .I've made a very similar one for camping in a foil pouch. .. your picture makes my mouth water. . .I'm looking at that bread too. . yum. surprised to see your recipe today.. I have the exact one that I got from my friend and have been making it for some time. Tastes great.. 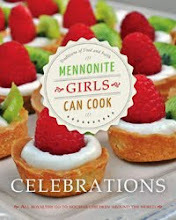 In recently discovering your blog, I have come to appreciate all of the familiar products and dishes that come from the Mennonite background. (My inlaws are Mennonite). Farmer Sausage is a staple in our household. I use it in soups and casseroles and BBQ it and give it away to other "foodies" who don't have access to the pariticularly good local Farmer Sausage. Keep on inspiring me and tempting me with your recipes. 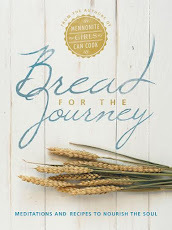 Just to let you know, that bread is Lovella's "no knead multigrain bread" and it is so easy and sooo good! You just have to think of mixing it before you go to bed. The next day you bake it after lunch. It's moist and wonderful! And you don't have a heavy pot, bake it in a covered casserole dish...that's what I do. HAPPY NEW YEAR!!! We have about 100 lbs of sausage in the freezer - always looking for new ways to use it and I love scalloped potatoes. Thank-you for all the wonderful recipes - look forward to seeing many more in '09! We enjoy a dish that is much like this...there's nothing quite like a potato and farmer sausage casserole! Thanks for posting this, Anneliese. Looks so yummy. My family will love that mixture. Now I know how to cook up the left over sausage. Happy New Year and this recipe looks great to. I am so glad i found you site. 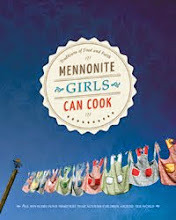 I have always loved recipes from Amish and Mennonite backrounds it truly is real home cooking which is something i adore. This meal went over very well with our friends the other night. I used my food processor to slice all the potatoes and grate the cheese...that worked really well. Thanks for the great recipe! my family and i love love love winkler farmer sausage, and i've always wanted to cook it a different way. do i have to cook the sausage first before making the casserole? also, all i have are white potatoes. Great recipe. I forgot about this recipe until I read your blog. I love the flavour of Winkler Farmer Sausage cooked with the potatoes. I made this today, but I put it in the slow-cooker on low for 10 hours. I also doubled the recipe & tripled the sauce. Thank you for sharing this recipe, it was sooooo yummy!!! I love seeing recipes like this, with familiar foods like farmer's sausage!! I made this for supper last night and it was by far the best scalloped potatoes we have ever had! My 4 yr old asked for the leftovers for breakfast this morning :) The farmer sausage gives it a wonderful flavor. Dear Anneliese, what is that bread in the background? Thanks! No need to pre-cook the sausage if it's smoked. Just slice and layer with raw potatoes. It will cook further with the potatoes. Thanks!! can't wait to eat this tonight!! I'm not sure about freezing potatoes. I think some flavor and texture would be lost. Looks great, however the recipe doesn't mention how many servings it makes. I'm guessing 4 to 6 from the number of potatoes listed. Delicious!! Super easy to make. Everyone loved it. The only thing I changed was the milk, I did half milk, half whipped cream (only because I need to use up the cream). Thank you so much for the delicious recipes! I made this one for supper last night only making a few changes, I omitted the cheese and salt and added onions to the layers mmmm, mmmm delicious! I made this today! Just without the mushroom sauce and added more milk. It was good!! Thanks for the recipe! Explain farmer's sausage, please. Is this available in grocery stores or taken from your own butchered meat? Farmer sausage is a smoked pork sausage of Mennonite origin and can be bought in stores or meat markets in areas where there are a significant number of Mennonites. Do you bake this covered or uncovered? would this turn out as well ina slowcooker?